Throughout Manitoba, Saskatchewan, and Northwest Ontario, Air Unlimited has developed a reputation on the backs of our experienced technicians, the reliable support they offer, and our commitment to quality assurance certification. Or summed up one word: Service. 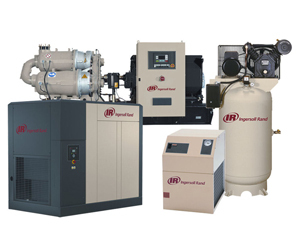 Certified service and installation of compressed air and building power products and systems. Click here to see our product list.